Silver gelatin photo from the personal collection of John F. Kennedy's White House photographer, Cecil W. Stoughton, who captured the iconic photo of Lyndon B. Johnson's inauguration aboard Air Force One after JFK was assassinated. 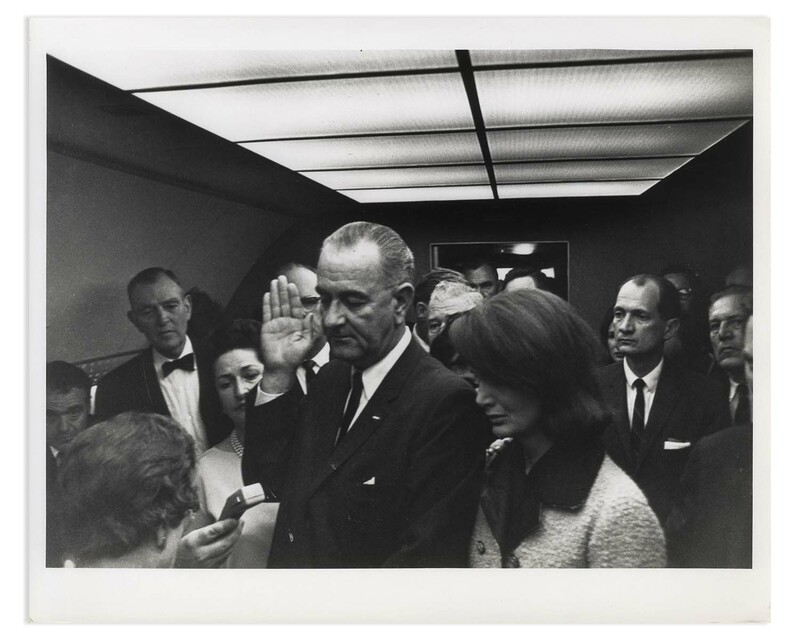 Although Stoughton published only one image from the ceremony, he captured approximately 16 more, of which this is one, closely resembling the published photo but with the expressions on Jackie, LBJ and Lady Bird's faces all slightly different. 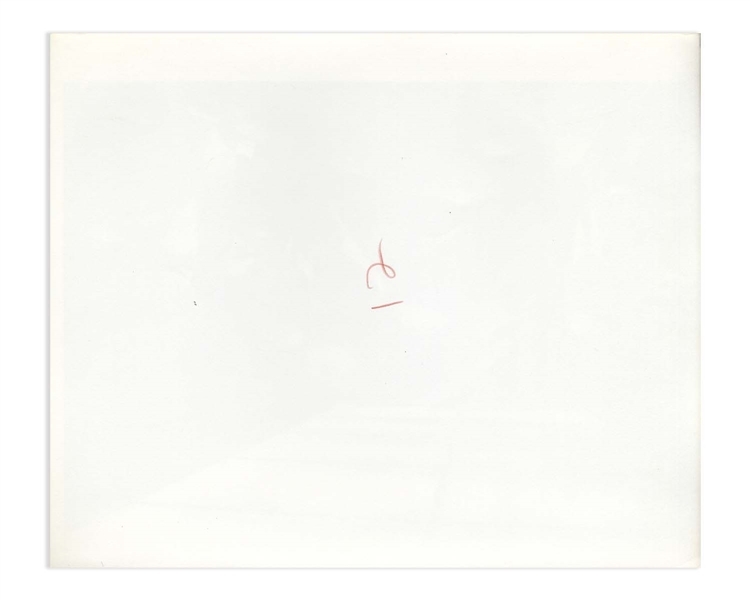 This unpublished photo is from the personal collection of Stoughton, who said that while he was uncomfortable taking the photos, he believed he needed to document it as an important record of history. Glossy photo measures 10'' x 8'', marked ''12'' in red pencil on the verso. Near fine condition.